A practical step-by-step guide on how to request or produce electronic data. 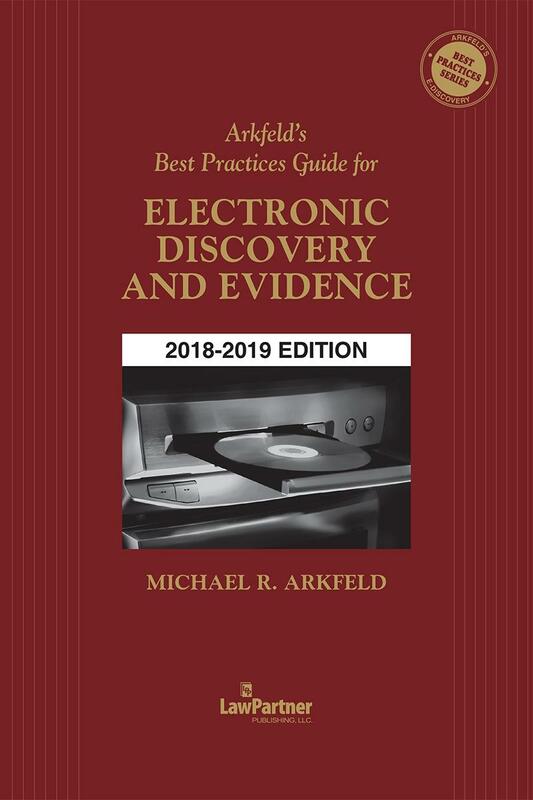 The 2018-2019 edition of the Best Practices Guide for Electronic Discovery and Evidence offers an overview and workbook for the myriad legal and technological issues that need to be addressed whether you are requesting or producing "electronically stored information" (ESI). The workbook provides a plan and pretrial steps for discovering and disclosing ESI. Also included is a "meet and confer" planning guide outlining the key topics and questions for a pretrial conference. Discounts are available on multiple copies for your law firm, government agency, or other legal organization. Call 1-800-533-1637. Visit our E-Discovery Page for additional information. Michael Arkfeld is the Director of the eDiscovery, Digital Evidence & Legal Analytics Program and a Faculty Fellow at the Sandra Day O’Connor College of Law at Arizona State University. This program hosts the annual ASU-Arkfeld eDiscovery and Digital Evidence Conference held in March of each year. Mr. Arkfeld was also one of the primary instructors at the Georgetown eDiscovery Academy held annually in Washington DC. Michael is also the Founder and Director of Education for the eDiscovery Education Center (www.edec.com). As a former assistant United States Attorney for the District of Arizona, Michael Arkfeld handled multimillion-dollar cases involving personal injury, medical malpractice, wrongful termination, and a host of other tort claims. He has appeared before both federal and state appellate courts and has extensive experience in jury (over 30 trials) and bench trials. 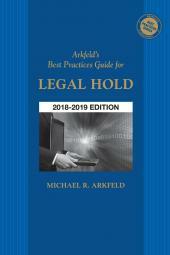 Since 1985, Mr. Arkfeld has incorporated personal computers extensively in his legal practice and lectures throughout North America and internationally on the impact of technology on the practice of law and the discovery and admission of electronic evidence. Michael Arkfeld is also the primary instructor for several online courses on electronic discovery and digital evidence. 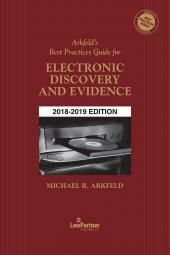 Michael Arkfeld is the author of Arkfeld on Electronic Discovery and Evidence (4th ed.) treatise and numerous Best Practice Guides. 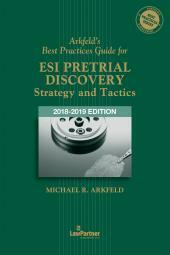 The treatise is cross-referenced with the Best Practices Guides for Electronic Discovery and Evidence; ESI Pretrial Discovery Strategy and Tactics; Legal Hold; and IT Primer for Legal Professionals. 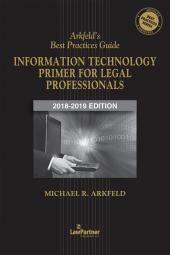 In addition, Michael authored The Digital Practice of Law (5th ed. ): A Practical Reference for Applying Technology Concepts to the Practice of Law (2001 ed.). Michael Arkfeld was the recipient of the national 2004 E-Evidence Thought Leading Scholar Award and was presented the President’s Award from the State Bar of Arizona in 1996. Mr. Arkfeld is a licensed attorney in the state of Arizona. He was the past chairman of the Task Force on Integrating Technology into the Justice System for the State Bar of Arizona. Michael Arkfeld has been the editor of the E-Discovery Supplement to the American Lawyer and Corporate Counsel magazines published by American Lawyer Media. He is a past columnist for the Arizona Attorney magazine and a contributing writer to the American Bar Association Journal and a variety of other legal publications. Michael Arkfeld received his J.D. from the University of Nebraska College of Law in 1975. He can be reached by email at Michael@Arkfeld.com. His web sites at Arkfeld and Associates (www.arkfeld.com) and eDiscovery Education Center (www.edec.com) feature electronic discovery educational initiatives, and other litigation and law office resources.